Gas prices continue to rise in New England. According to the Energy Information Administration (EIA), the latest gasoline demand measurement is the highest for the end of October since 2006. Nationally todays gas price is $2.56, today’s gas price is 5 cents more than a week ago, and 37 cents more than a year ago. The national gas price average during the second half of October was relatively stable, fluctuating a penny or two until October 31. Since then, the national price has seen upward movement, primarily resulting from increased demand. Vermont’s average current price is $2.57 per gallon, which is 4 cents higher than one week ago, and 28 cents higher than one year ago. New Hampshire’s average current price is $2.51 per gallon, which is 4 cents higher than one week ago and 33 cents higher than one year ago. Maine’s current price is $2.56 per gallon, which is 8 cents higher than one week ago and 28 cents higher than one year ago. Massachusetts current price is $2.58 per gallon, which is 3 cents higher than one week ago and 37 cents higher that one year ago. Last week, WTI hit a new 2017 high at $54.54 and the market will likely build on those gains this week. As of Friday morning the NYMEX, WTI settled up $2.54/bbl at $57.08/bbl. The latest EIA report showed major inventory draws and increased exports, both of which have helped push oil prices higher. Crude oil inventories slid by 2.4 million bbl, while crude oil exports reached a new record of 2.133 million b/d. 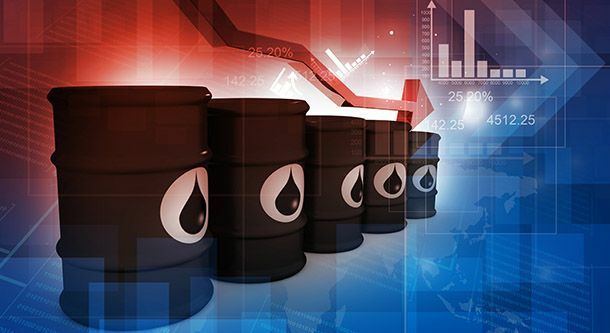 All of this news has given market observers renewed confidence in seeing oil prices pushing higher as supplies appear to grow tighter and demand remains strong, fueled by oil demand growth in key export markets. Last week, Baker Hughes, Inc. reported that the U.S. oil rig count dropped by eight rigs, bringing the total to 729. The news follows reports that at OPEC’s next meeting in Vienna on Nov. 30, OPEC and allied non-OPEC producers will review the agreement to reduce production through March of next year. Some reports have stated that the group may extend the agreement through the end of 2018, which if true, will likely help boost oil prices through the end of the year.